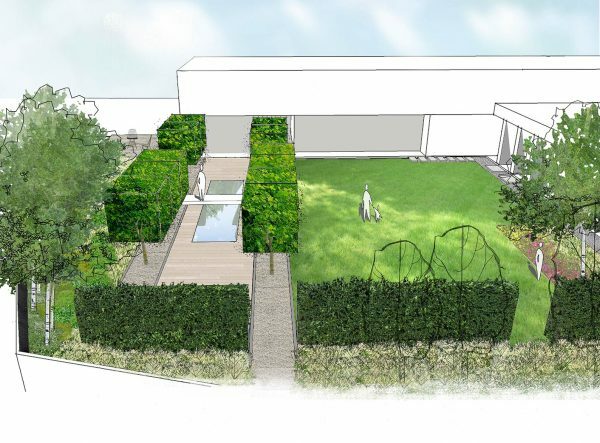 The garden is designed for a contemporary new private house in Hale, Cheshire. Box-pleached trees and formal hedges create horizontal and vertical planes which bring enclosure to the formal garden area and respond to the clean, modern lines of the building. A platform projects out over a reflective pool and into the formal lawn and loose planting beyond. 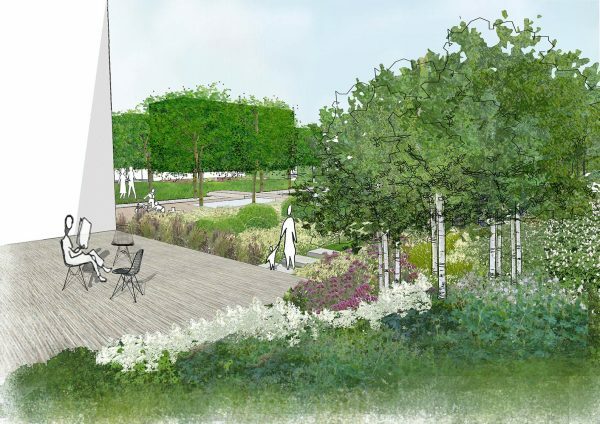 Views are set up to maximise the impact of the garden though the contemporary glazed facade, and out through the formal garden and into the wider garden beyond. Views back to the house are encouraged from two stone benches tucked into the planting. 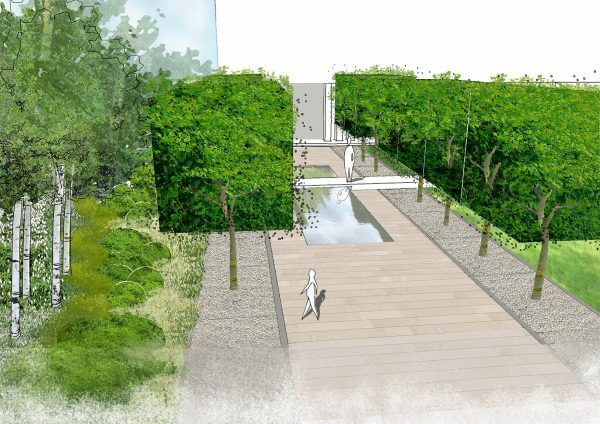 Within the garden itself, views are controlled with clipped hedging and pleached trees, leading the eye to artworks set within a more naturalistic landscape. The formal garden blends into more informal landscape towards the boundary edges, through naturalist ornamental planting to the west, and wildflower meadow to the south, where a meandering path through new woodland planting and existing mature trees creates a route for exploration and natural play.